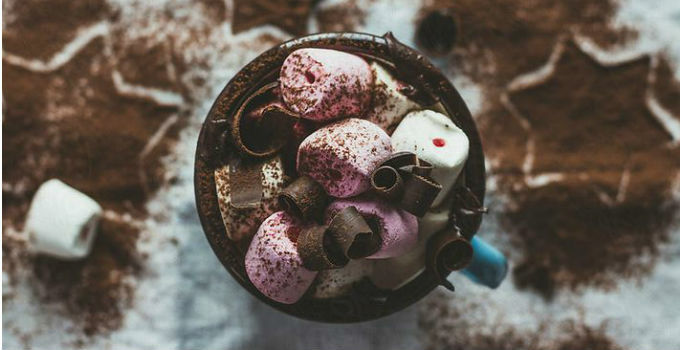 It's that time of the year when we're grabbing our beanies, dusting off our jackets and frantically researching the symptoms of frostbite - but with the cold comes the perfect opportunity to break out our mugs and indulge in winter's finest hot choccies. After the strenuous task of sampling all of the rich, frothy goodness Brisbane has to offer, we’ve decided on a few of our faves, so whether you’re extra af (marshmallows? Don’t make me laugh) or a fan of the classics (what’s a marshmallow), we’ve got the best of the best right here. Swap summer gelato for steamy hot chocolates by the fireplace at South Bank’s favourite dessert bar with their udderly delicious cocoas. With a choice of milk, dark or white chocolate, you can have it your way, not to mention the deluxe edition topped with whipped cream and marshmallows. If you thought Noosa Chocolate Factory’s famous rocky road delight was bangin’, wait until you see its final form – rocky road hot chocolate. Packed with locally made, creamy chocolate, it’s so thick and rich that you’d be forgiven for thinking they had just melted a whole block of rocky road into your cup. Through July at Laneway WV’s pop-up, get down to West Village from 12pm to enjoy a hot chocolate made by the gelato masters themselves – Gelato Messina. These toasted marshmallow-topped, thick hot chocolates are made with their rich chocolate gelato – so get one while you can! Piggy Back’s hot chocolate was good enough as is, but we’re needy and are always looking for that little bit more. We can’t resist an opportunity to embrace our inner patriot, which is why we’re all about their hot chocolate topped with whipped cream, Milo and salted caramel. Tucked away in the leafy streets of suburban New Farm, Bitter Suite is rocking our chocolate addicted socks off with their peanut butter hot chocolate topped with Reece’s peanut butter cups and whipped cream. Passion Tree has pretty much all your winter chocolate and dessert cravings covered with their Campfire Smores HC. 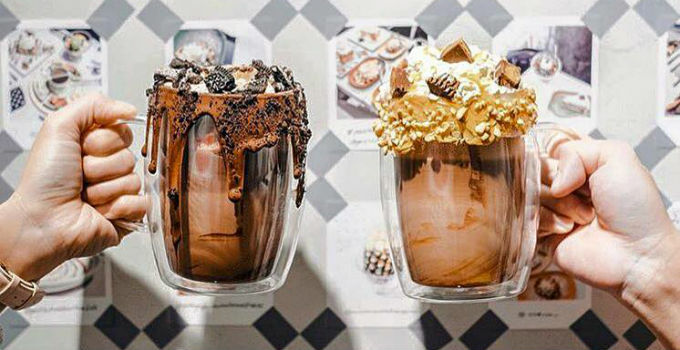 Please note: you’ll need a spoon to polish off this epic creation, which include almost as much chocolate, marshmallow and Oreo toppings as the drink. Not much is needed to describe the Italian hot chocolates at La Dolce Vita. Just don’t confuse it with chocolate fondue. The thick, creamy and decadent texture of this cup of heaven is enough to make you come back for more.. and more, and more, and then some more. All about intense taste? Bunker Coffee’s 70% dark hot chocolates are packed with flavour so rich they’re practically royalty – but if you’re after something less decadent, their milk and white hot chocolates are undeniably delicious as well. Leave the packet mix at home and get ready to be blown away by Lindt’s winter range of chocolate sips. Basically a steamy, drinkable version of their luscious chocolate blocks, they come in flavours of milk, dark, hazelnut and salted caramel. With hot chocolates this good, we’re ready to give up coffee. Maybe. - the gourmands who can't stay away from chocolate.